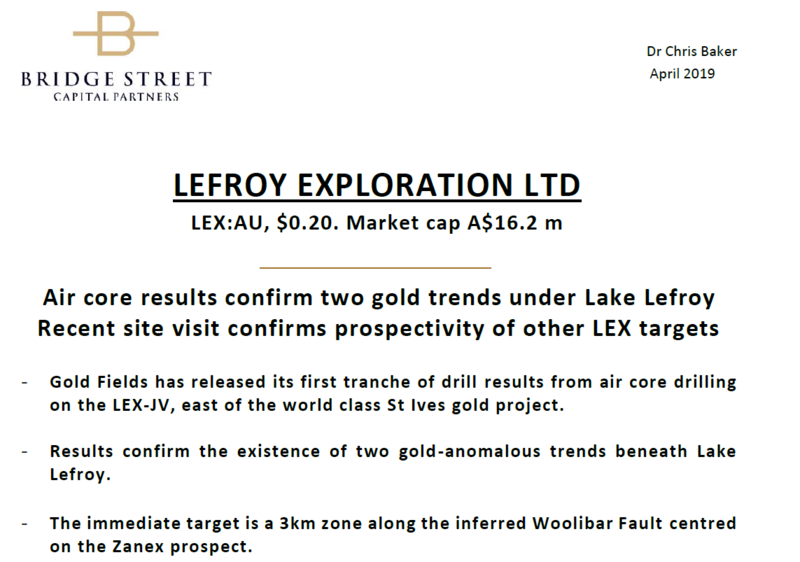 Lefroy Exploration’s focus is on the discovery of multi-million ounce greenfields gold deposits at its flagship Lefroy Gold Project south of Kalgoorlie where the company has achieved exciting early stage exploration results, including at its Lucky Strike, Hang Glider Hill and Capstan prospects. Lefroy Exploration Limited has partnered with global major gold producer Goldfields (JSE:GFI) who are currently spending up to A$25m to earn up an interest of up to 70% in the Western tenements of LEX’s Lefroy Gold Project. The tenements within the JV cover and area of 372km2 and are adjacent to Goldfields 10+ million ounce St Ives Gold Camp. Gold Fields will manage all exploration activities during the farm-in period and brings extensive regional geological knowledge to the project having developed St Ives into a world class gold district. The Company is also undertaking early stage exploration at its Lake Johnston Project which is prospective for nickel and gold and located west of Norseman and adjacent to Poseidon Nickel’s Maggie Hays and Emily Anne nickel mines. 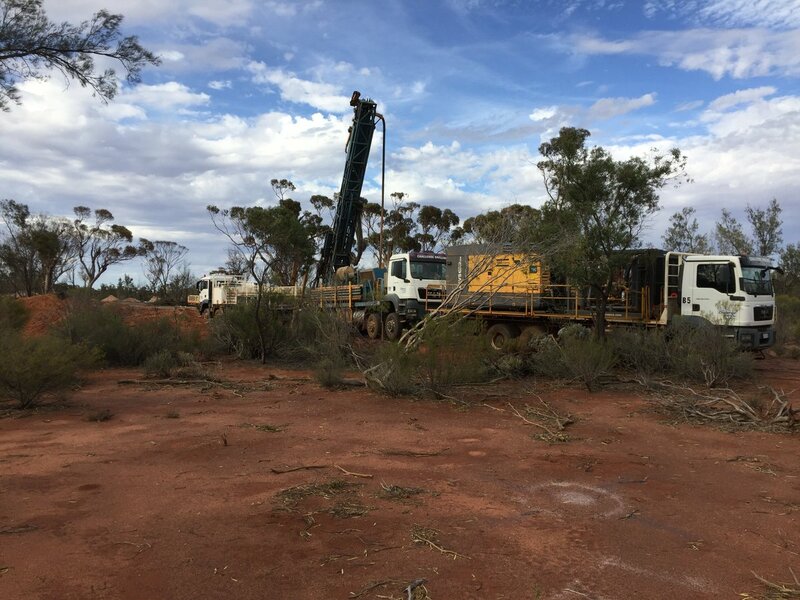 Lefroy Exploration Limited (ASX:LEX) is a Perth based gold explorer focused on greenfields exploration in Western Australia, targeting multi-million ounce gold discoveries. Western Lefroy– where global gold producer Gold Fields (JSE:GFI) is farming in and bringing its significant regional geological knowledge and vast resources to the project. Both Eastern and Western Lefroy are considered highly prospective for major gold discoveries and lie in a historically under-explored area within a highly prospective geological location near Kalgoorle. LEX also holds a diversified exploration portfolio of additional exploration projects including its Lake Johnston Project which is prospective for gold and nickel and lies adjacent to Poseidon Nickel’s (ASX;POS) Maggie Hays-Emily Anne Nickel mines which have a total mineral resource inventory of approximately70,500t of contained nickel. The initial results from air core drilling by Gold Fields within the Western Lefroy Farm In & JV with $LEX extends and enhances the existing gold trends under Lake Lefroy. Wide spaced foundation drilling continues. 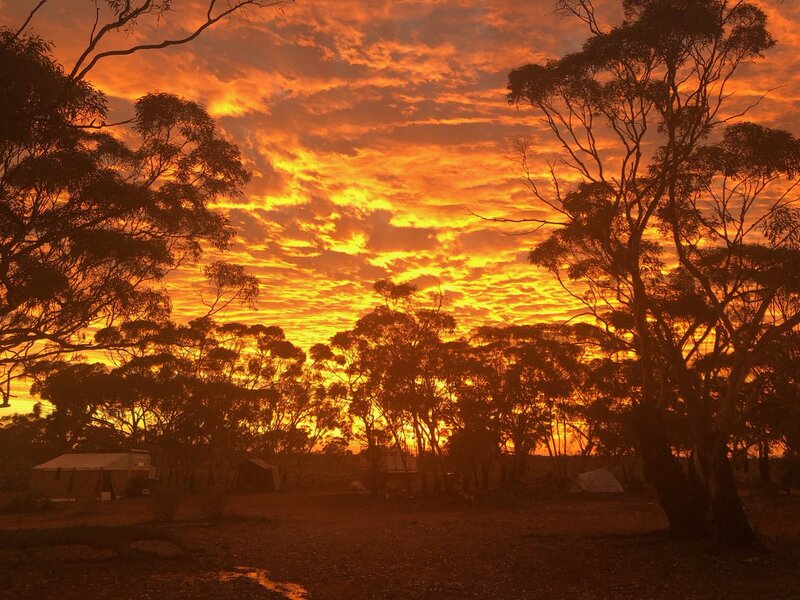 A glorious #golden sunset over the Lucky Strike field camp 50km to the south east of #Kalgoorlie yesterday evening. Photo courtesy of Ashlinn Walsh our field assistant supporting the RC drill program.